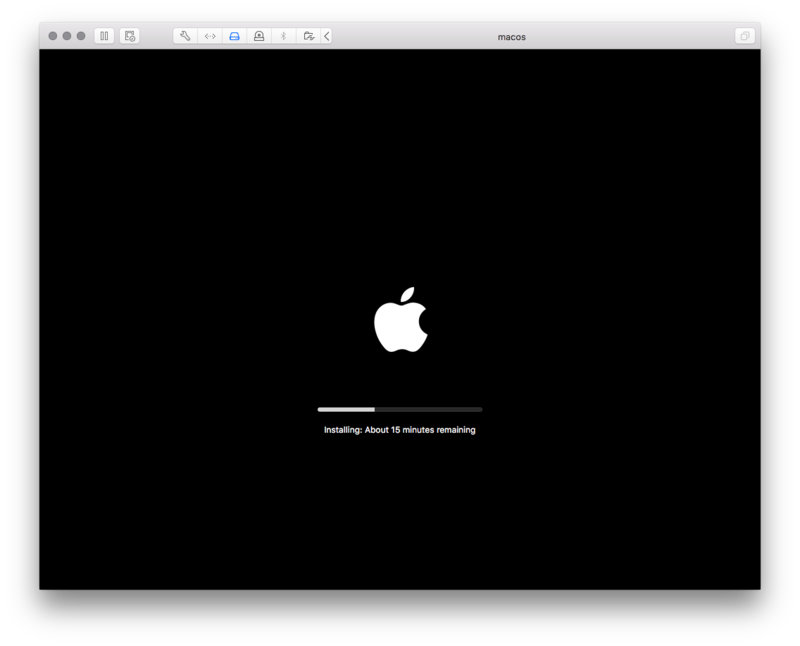 An error occurred installing macOS. 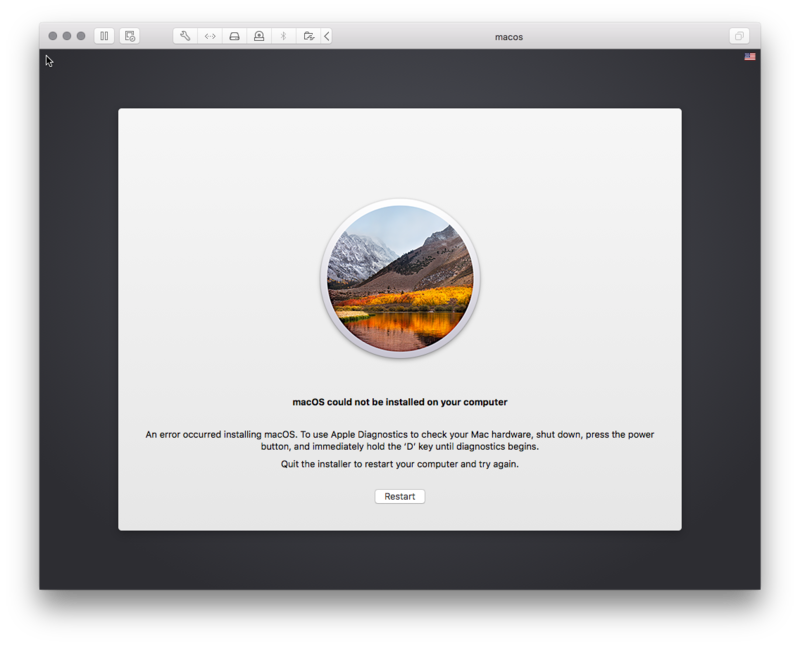 To use Apple Diagnostics to check your Mac hardware, shut down, press the power button, and immediately hold the 'D' key until diagnostics begins. Re-generating the installer ISO image. Re-running the packer VM build. Disabling SMC (which results in a VM that never finishes booting). Increasing virtual RAM to 4GB. Specifying the virtual hard drive as a solid state drive. 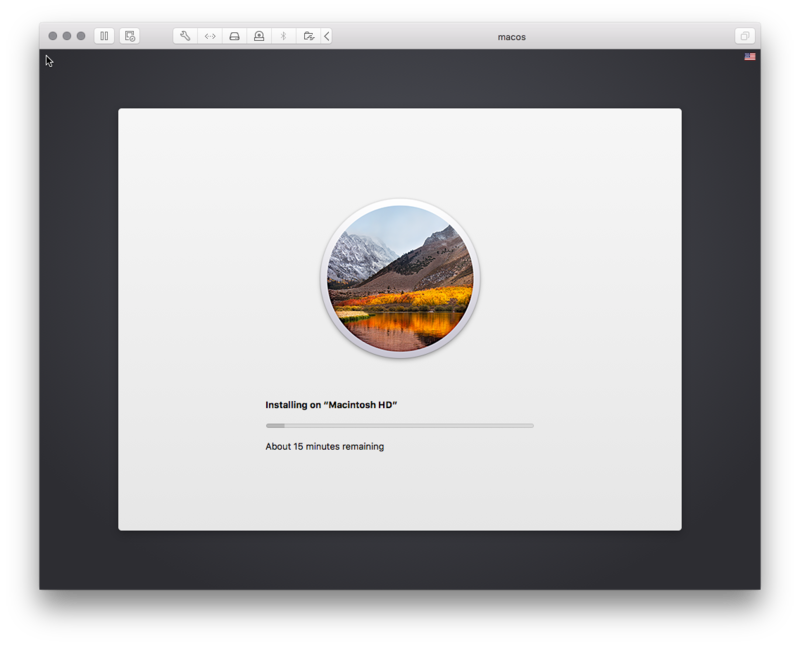 Using VirtualBox (unfortunately, packer sends the wrong scancodes to VirtualBox for macOS guests, so packer + macOS guests + VirtualBox doesn't integrate very well at the moment). Pressing 'D' during boot (no change in behavior, no diagnostics displayed). I'm new to hackintoshing, so I'm not sure if I'm missing some critical VMX configuration, or perhaps if High Sierra introduces further complications compared to earlier editions of macOS. Or even if an alternative EFI bootloader (Clover?) is necessary, I just don't know. I'd prefer to install macOS with as vanilla/default a configuration as possible. Also posting this to InsanelyMac and Reddit just in case someone there can help, too! Virtual box and vmware total diff installation method.Yo u have to have diff setup for them. I made a guide of it for until 10.12 it should work on new.I havent got the time to test for newer os.But you can try old guide.All you have to do use new version unlocker. Apparently packer was supplying bad configuration to VMware Fusion for macOS guests. When I follow the normal VMware Fusion creation wizard, then the VM successfully installs and boots.